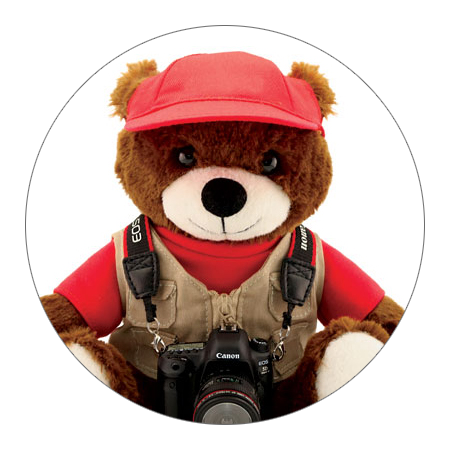 Your guide to exclusive product insights, photo tips, galleries and more. 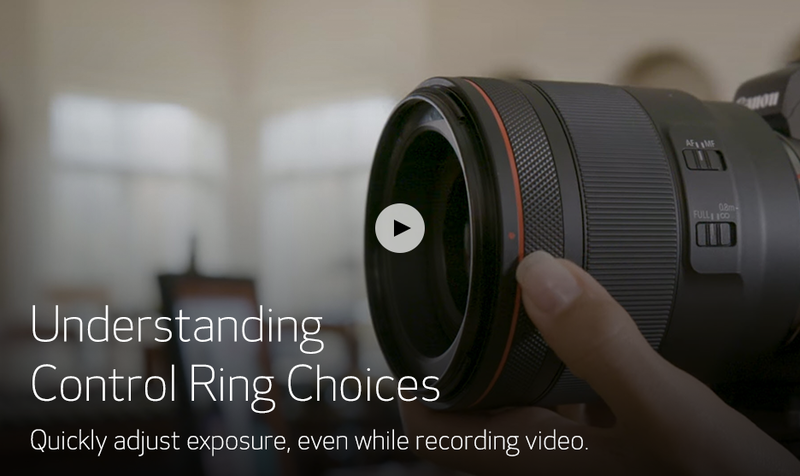 Get to know the Canon EOS R camera’s features and what they can offer in this fun series of short, informative and instructional videos. 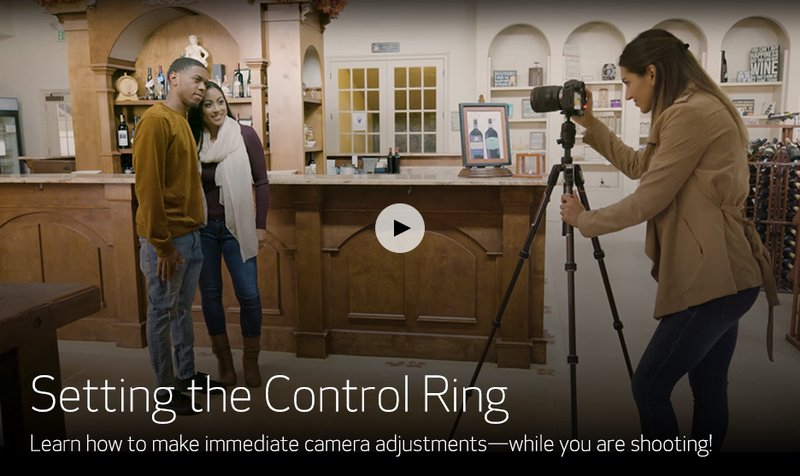 Learn how to make immediate camera adjustments - while you are shooting! 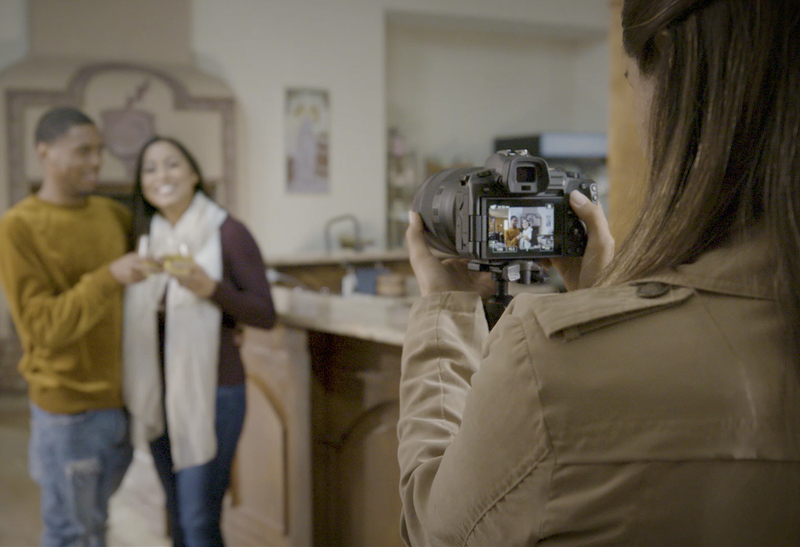 Quickly adjust exposure, even while recording video. 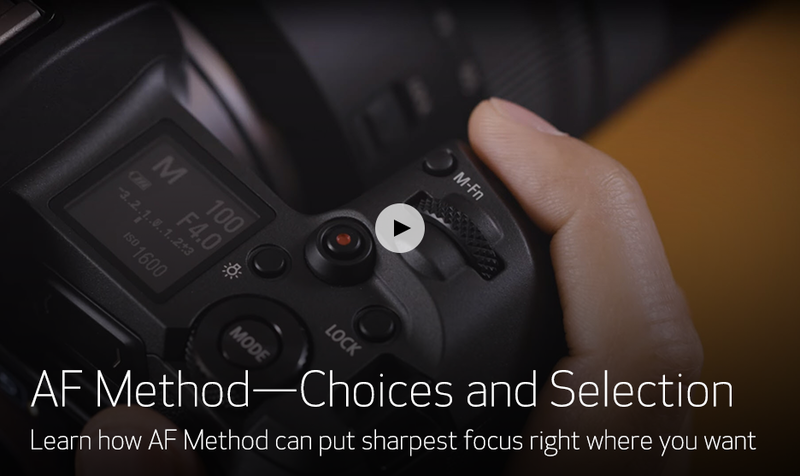 Learn how AF Method can put sharpest focus right where you want. 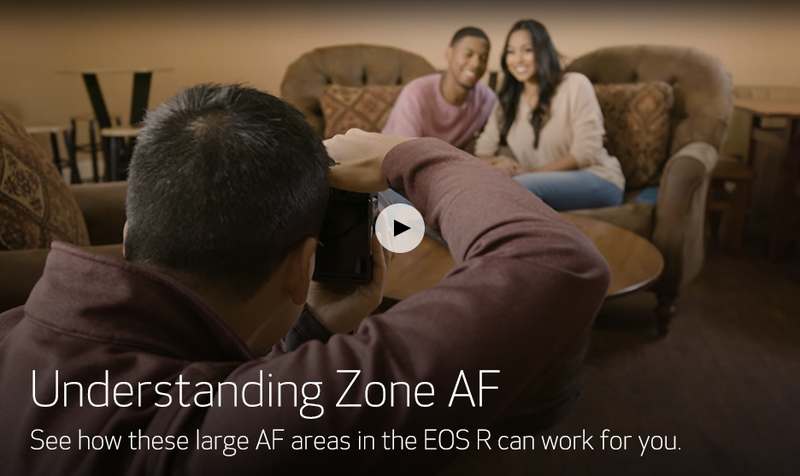 See how these large AF areas in the EOS R can work for you. 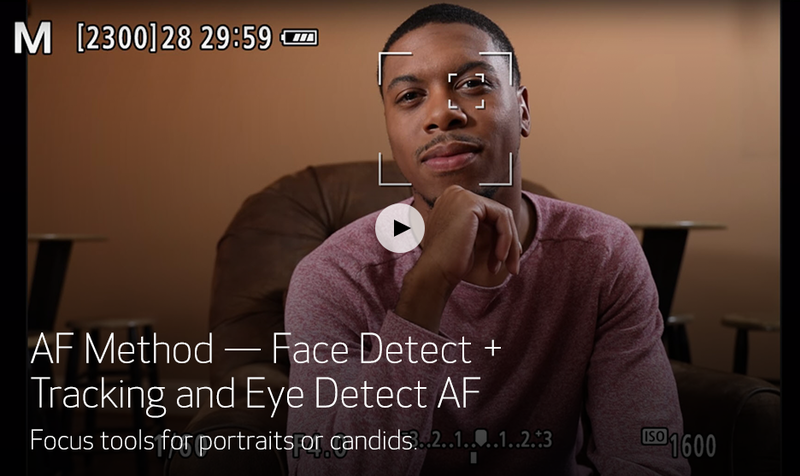 Focus tools for portraits or candids. 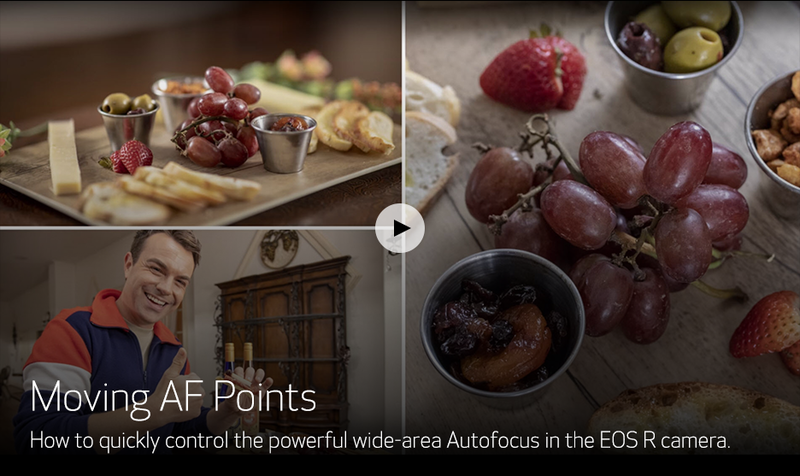 How to quickly control the powerful wide-area Autofocus in the EOS R camera. 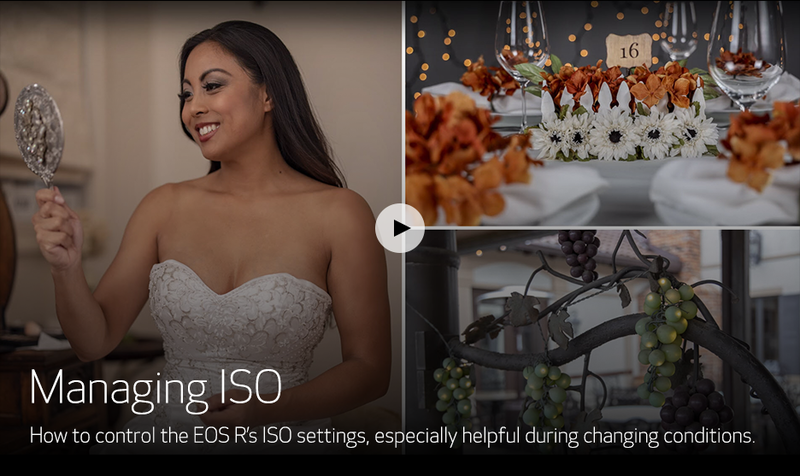 How to control the EOS R's ISO settings, especially helpful during changing conditions. 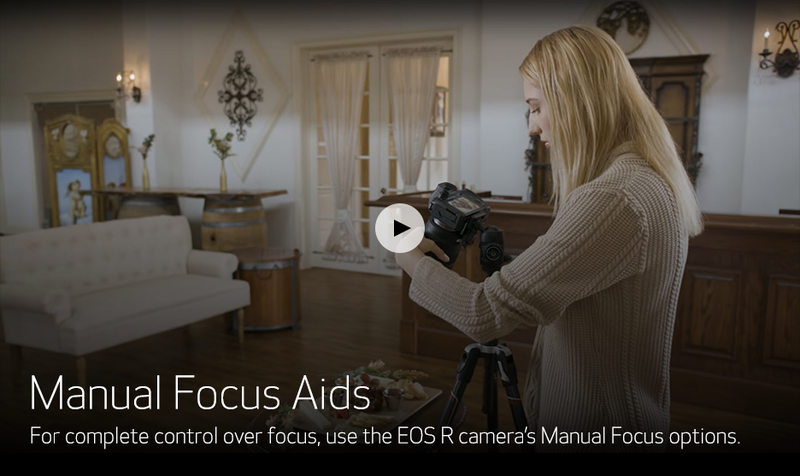 For completed control over focus, use the EOS R camera's Manual Focus options. 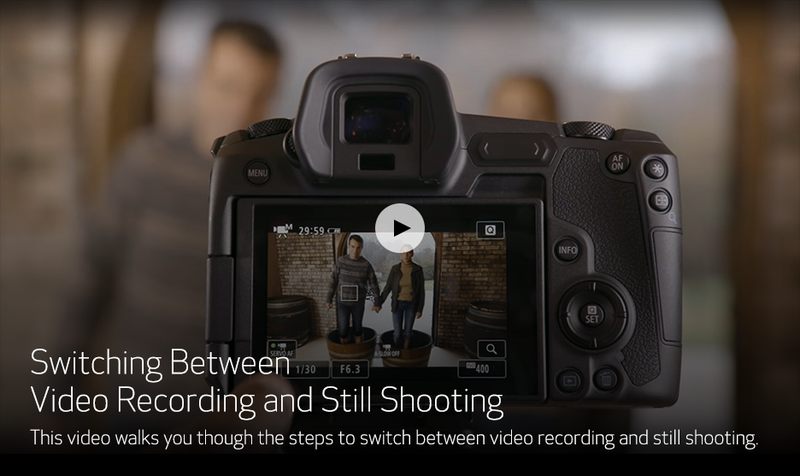 This video walks you through the steps to switch between video recording and still shooting. 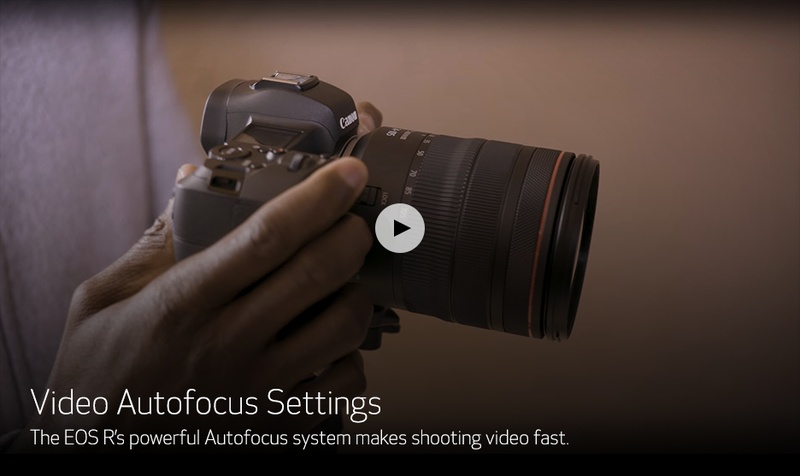 The EOS R's powerful Autofocus system makes shooting video fast. 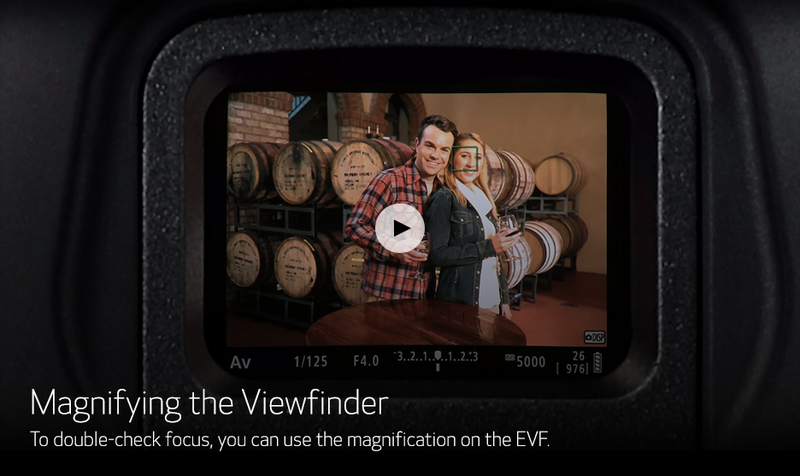 To double-check focus, you can use the magnification on the EVF. 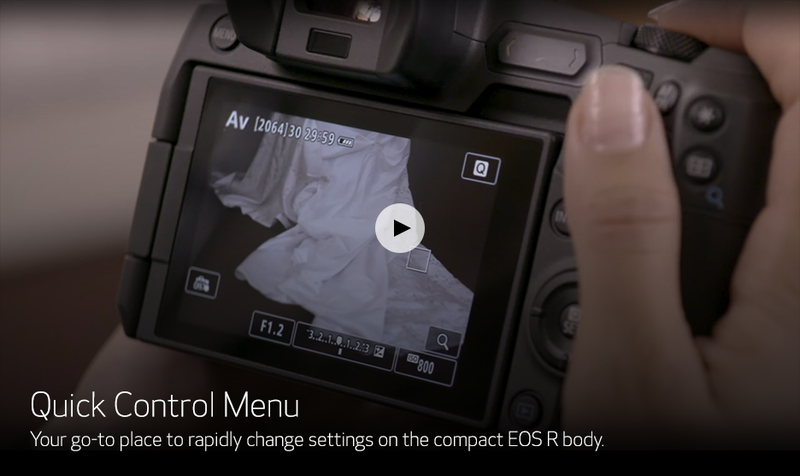 Your go-to place to rapidly change settings on the compact EOS R body. 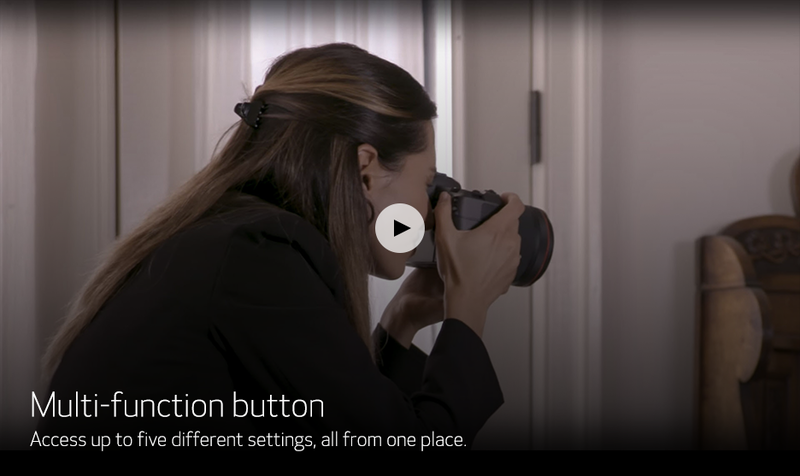 Access up to five different settings, all from one place. 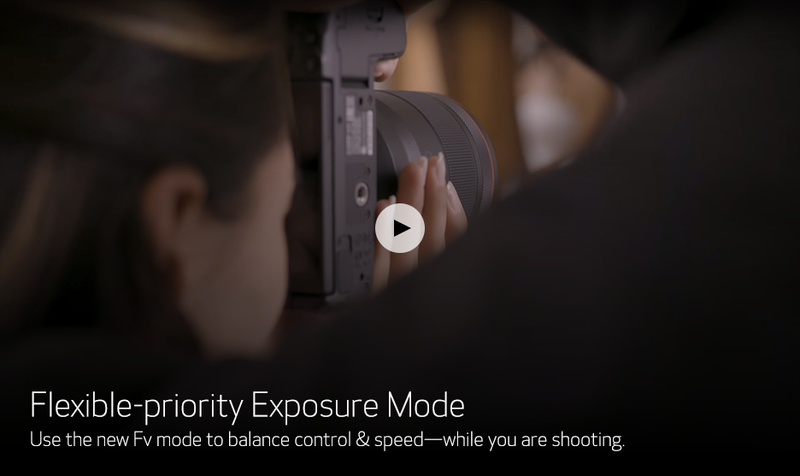 Use the new Fv mode to balance control & speed - while you are shooting. 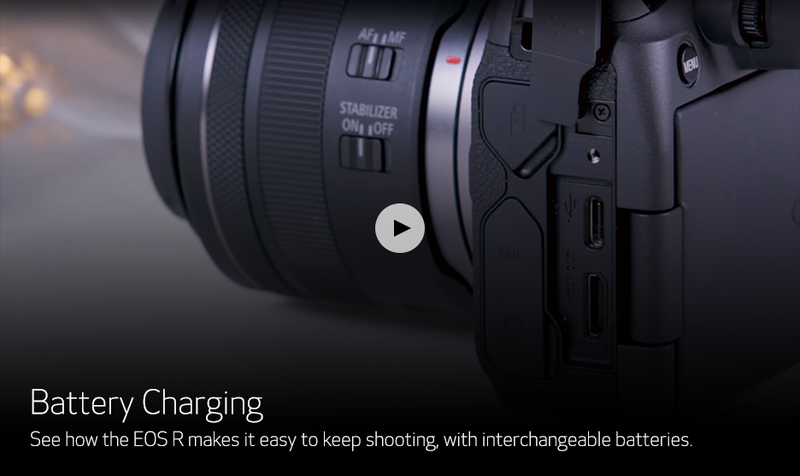 See how the EOS R makes it easy to keep shooting, with interchangeable batteries. 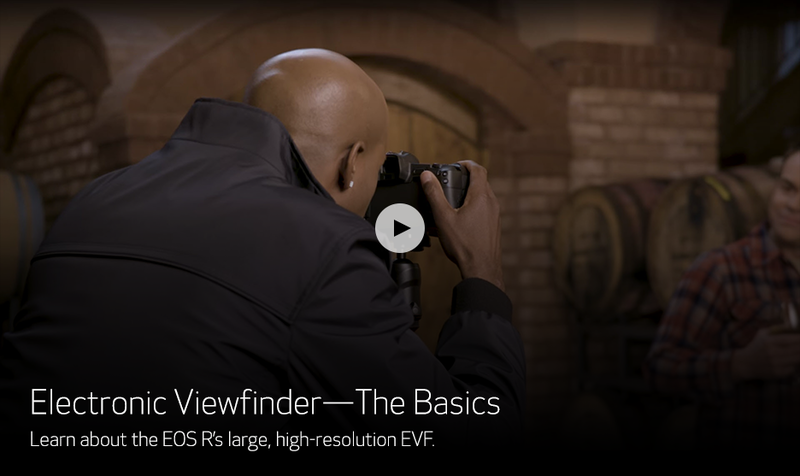 Learn about the EOS R's large, high-resolution EVF. 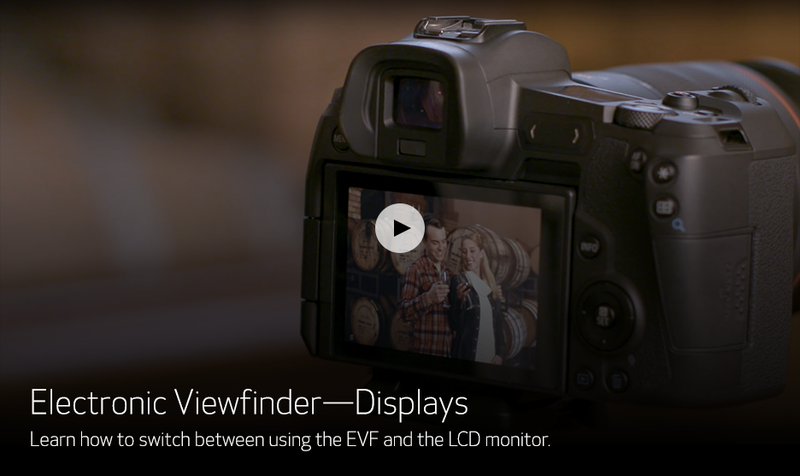 Learn how to switch between using the EVF and the LCD monitor. 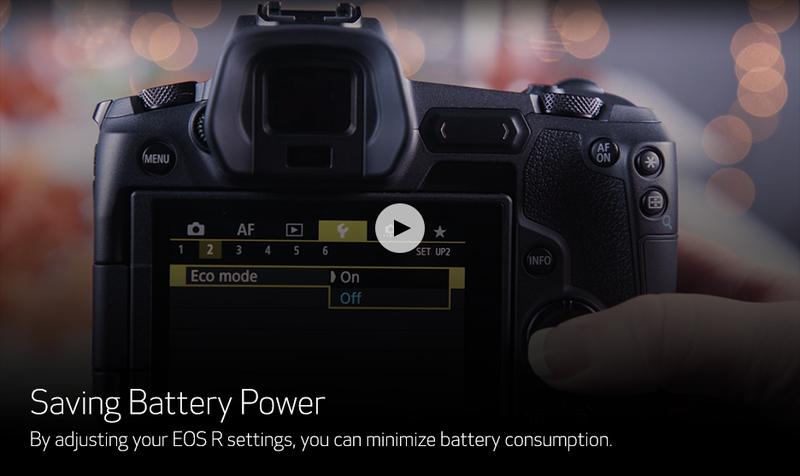 By adjusting your EOS R settings, you can minimize battery consumption.